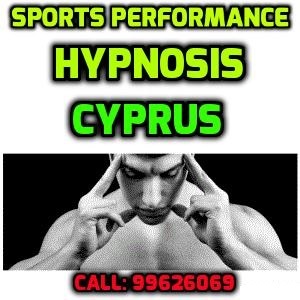 Stavros Santis is an nlp practitioner based in Larnaca, Cyprus. He has helped raise his children and other kids teaching them to open their minds to new and happier experiences that life has to offer. Stavros Santis knows he can not be everywhere so he is offering his stop smoking course online for you. Did you know that cigarettes are constantly going up in price? 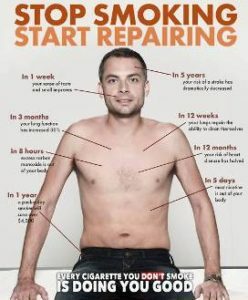 For the price of less then 1 months worth of cigarettes (1 1/2 packs a day) you can quit smoking forever, painlessly in just 90 smooth quiet minutes using our Stop Smoking in 90 minutes technique. Afterwards no cravings, no MUST EAT everything, no habit replacing habit. You will be at peace. For just 200 EUR you can have a session with Stavros Santis (he guarantees a full free year of follow-ups for any stop smoking related problems if you need it) -so far Stavros Santis is proud to say he has had 95% of his stop smoking clients successfully stop without any desire to start up again. This program has an amazing success rate -you can’t go wrong. All you need is the desire to quit smoking. We are offering you a chance to end your dependence on tobacco products. All it takes for you to end the addiction is a desire to stop. This all depends on you, do you want to quit without the pain of withdrawal. Without grabbing for a smoke out of habit. Without those long hours craving just one little drag. All it takes to finally stop, to finally quit and to be free is your own desire to stop, right here, right now! In our busy lives there is no time to wait, to take long courses to learn how to quit, to take time with patches, gum and pills that just don’t work. It is even harder now with no smoking in buildings, restaurants, bars, and most homes. You fear being anxiousness nervous and over-eating during those first few days – our method will help you conquer your fears and quit without these side-effects. You can finally kick that monkey off your back. It only takes a short 90 minute session to give you the rest of your life smoke free – Now is the time to start those smoke freedom days for the first day of the rest of your healthy life! Why should I quite smoking and Change? Add to the list: loss of time while smoking, property damage and depreciation, increased cost of maintenance and cleaning, involuntary smoking to other employees. . .It’s not difficult to see why corporate America is rapidly gravitating towards non-smoking environments. A recent national survey found that 75% of smoking workers and 87% of non-smoking workers favored either designated smoking areas or a total ban on smoking in the workplace. Why change?. . .Because improving your employees improves your bottom line! Think about a longer, healthier life with more time, energy and money! Imagine shaking that cough that’s been following you around and breathing a little easier, in more ways than one. Smokers average 33-45% more illness, 50% more use of health care and hospitals, and have twice as many on-the-job accidents. It’s no wonder that smokers have become a minority and society is gravitating towards a smoke-free environment. Why stop? Because smoking costs you your health and money, and because you can with hypnosis! Hypnosis is possibly one of the most misunderstood aspects of modern psychology. Any time you are in a relaxed, concentrated activity like exercising, athletics, hobbies, studying, or intensely listening to your favorite tune. . .you are using the rejuvenating aspects of hypnosis. There is no loss of consciousness. You will simply be relaxed and open to suggestion. Better understanding of your subconscious can help you find out what you think about those habits that you want to adjust. Change is inevitable. Making that change positive is up to you! Hypnosis is the easiest and most natural way to become a non-smoker. First a history of your smoking habit is taken. The hypnosis part of your session will last from 28-40 minutes. There is consciousness throughout and an audio is made for later reinforcement of your newly gained independence. Individual follow-ups are available at no additional cost for up to one year. The time for success is always now! With in 20 Minutes of Last Cigarette: Blood pressure re-adjusts to a normal level. Pulse rate adjusts to normal level. 8 Hours After: Carbon monoxide level drops to normal. Oxygen level in blood increases to normal. 24 Hours After: Chance of heart attack decreases. 48 Hours After: Nerve endings start regrowing. Abilities to smell and taste improve. 72 Hours After: Bronchial tubes relax. Lung capacity increases. 10 Days After: Red blood cells will continue to oxygenate and you will have more energy. 2 Weeks to 3 Months After: Circulation improves. Walking becomes easier. Lung functions increase by 40%. 1 to 9 Months After: Coughing, sinus congestion, fatigue, shortness of breath decreases. Cilia regrows in lungs. Increasing ability to handle mucus, cleaning the lungs, and reduces infection. 5 Years After: Lung cancer death rate for average smoker (one pack a day), decreases from 137 per 100,000 people to 72 per 100,000 people. (After 10 years, rate drops to 12 deaths per 100,000), or almost the rate of a person who never smoked. 10 Years After: Pre-cancerous cilia are replaced. Other cancers such as those of the mouth, larynx, esophagus, bladder, kidney and pancreas-decrease. (There are 30 chemicals in tobacco smoke that cause cancer).